The Carnegie Corporation's Executive Committee has not had an opportunity to discuss the Berry Schools. 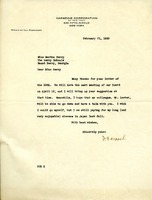 Miss Berry insists that Mr. Lester stay at Berry in the guest cottage instead of the hotel in Rome and assures him that they will have him back to Rome in time for his famous train. 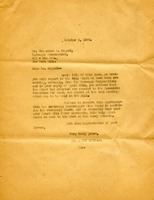 Mr. Lester writes to inform Miss Berry of his arrival in Rome at 6 P.M. on March 27th. 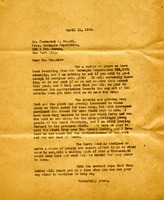 He asks her to send someone to pick him up at the Hotel for a good conversation and return him to Rome for the "Rome-Attalla limited" so he can go to Dirt Seller's Mountain. 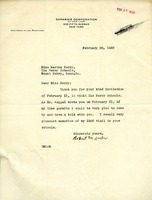 Mr. Lester accepts an invitation to visit the Schools and recollects a prior visit in 1926. 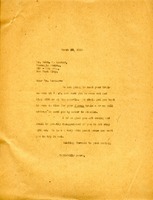 Letter discusses arrangements for getting Mr. Lester to visit the Berry Schools. 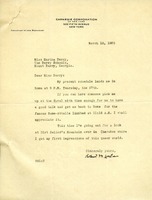 Mr. Keppel writes that the next Board Meeting will be on April 16 and he will bring up Miss Berry's suggestion then. 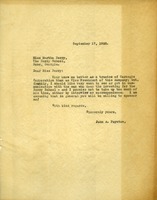 He says that he hopes Mr. Lester could go to Berry and talk with her. Martha Berry expresses her wishes to Dr. Keppel that he continue to help Berry, as she is getting older and it it more difficult for her to acquire the necessary funds. 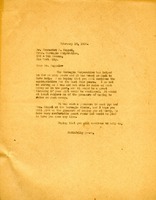 Telegram to Miss Berry from A. J. Richie saying that he and Mr. Frank A. Rexford of Carnegie Corporation are coming to visit on Friday. 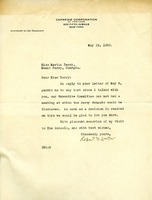 John A. Poynton, a trustee of Carnegie Corporation and president of a company writes to Martha Berry asking to get in touch with the man who does the investing for Berry School. 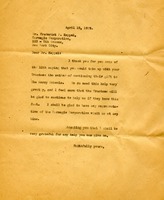 He assumes that she will sponsor him. 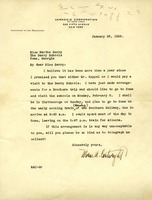 Morse A. Cartwright makes arrangements to visit the Berry Schools. 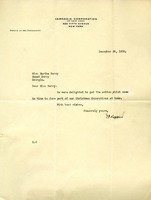 F. P. Keppel thanks Miss Berry for the cotton, which he used for Christmas decorations.